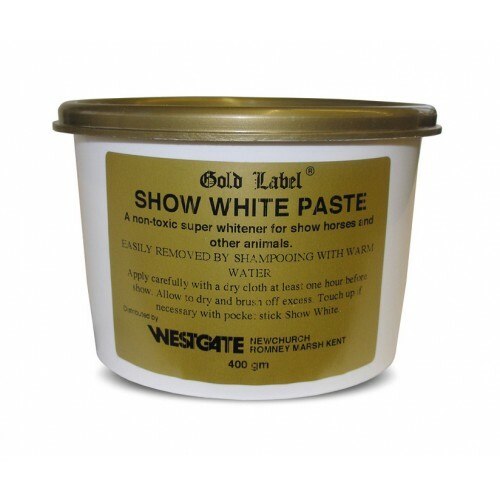 The Gold Label Show White Paste is highly acclaimed due to its extra white appearance and ability to easily adhere to the coat. This super white paste does not contain chalk. There are currently no questions for Gold Label Show White Paste for Horses - be the first to ask one!